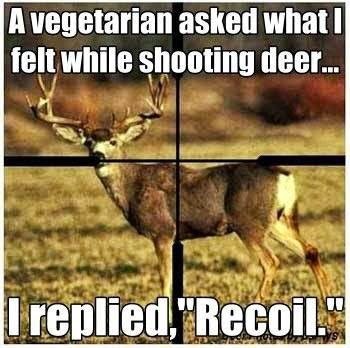 A vegetarian asked what I felt while shooting deer...I replied, "Recoil." Good Technic for get success in deer hunting and i know most of the visitors are like this content about this education. We find lot of eager to do this with my hobby. I hope it will be entertainment for me.